W.O.D # 1 | drive-thrus are for lazy people. Cross-Fit seems to be all the rage these days, doesn’t it? Go ahead, try it out. Spin, Squat and Sit Ups! All feedback welcome – just leave me a comment below. Categories: fitness + workouts. 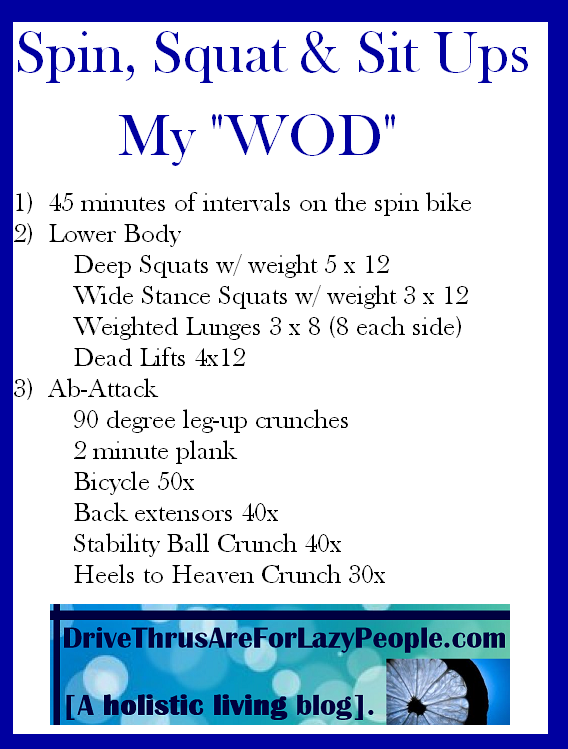 | Tags: abs, crossfit, cycle, fitness, health, legs, motivation, spin, squats, sweat, workout | Permalink.